Handmade Birthday GiftsThere are 280 products. Handmade birthday gift ideas which you are going to find in e-shop Unikatnica are handcrafted gifts, made of different materials, such as knitting yarn, wool, wire, polymer clay and other materials which are nickle free. 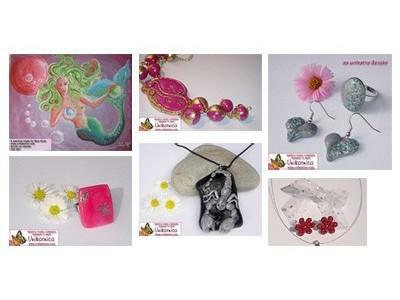 all birthday gifts ideas found in this e-shop Unikatnica are OOAK products (mostly one of a kind jewelry pieces, anniversary cards and pictures) and are suitable as unique, special and really great birthday gifts for her and him. All handmade birthday gifts found in this e-shop Unikatnica are handcrafted by Nina Kolar.